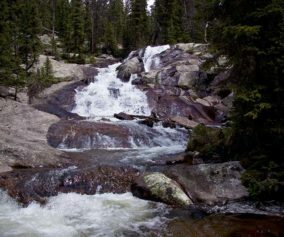 Chaos Canyon Cascades in Rocky Mountain National Park is formed as Chaos Creek tumbles through the forest below Lake Haiyaha. 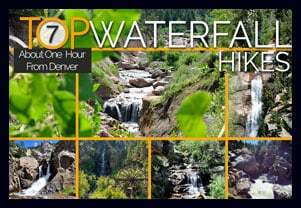 This 4.2 mile round trip hike is on the east side of RMNP to one of the lesser visited cascade waterfalls in the park. 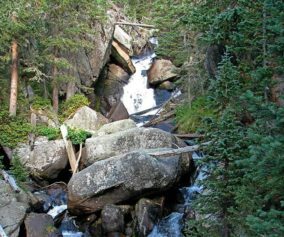 Explore the full Chaos Canyon Cascades hike profile below for trail map, driving directions, and some important tips and resources for this adventure in Rocky Mountain National Park. The trail to Chaos Canyon Cascades begins at the Bear Lake Trailhead (driving directions). In the event the parking lot at Bear Lake is full, you’ll then need to park at the Park & Ride near the Bierstadt Trailhead and take the bus into the trailhead. This service runs 7am to 7PM and more information on the RMNP shuttle bus routes can be found at this link. 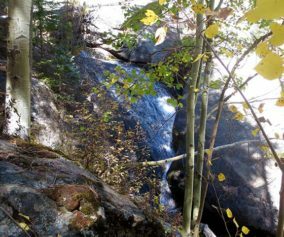 The trail is located on your way to Bear Lake, off to the left, just before reaching the shore viewing area of Bear Lake. It follows the same main trail that leads hikers up to both Nymph and Dream Lakes. From the Bear Lake Trailhead, hikers will reach Nymph Lake at .5 mile. After continuing on the trail for approximately another .5 mile, hikers will come upon a trail split. 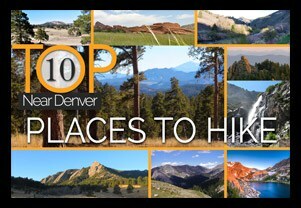 Be sure to first hike the additional .1 mile (right-hand trail) up to Dream Lake first. Dream Lake is not to be missed. After returning to this trail split, the trail to Chaos Canyon Cascades is the same trail leading up towards Lake Haiyaha. After traveling .8 mile, the trail crosses a footbridge going over Chaos Creek. After crossing the footbridge, hikers should be able to locate an unmaintained social trail on the left-hand (east) side of the main trail. The trail will descend and follow Chaos Creek, but will soon enter a steep area where the brush is dense and the trail is difficult to discern. Exercise caution in this area The cascades should come into view after just a few short minutes, as they are only about 1/10th of a mile from the footbridge. Because this is an unmaintained trail, be sure to tread lightly. Take care not to disturb the flowers and undergrowth, and the pristine environment of the cascades. Hikers can add another Lake to this hike by returning to the main trail via the same route to the cascades, then continuing south to the Lake Haiyaha trail junction. 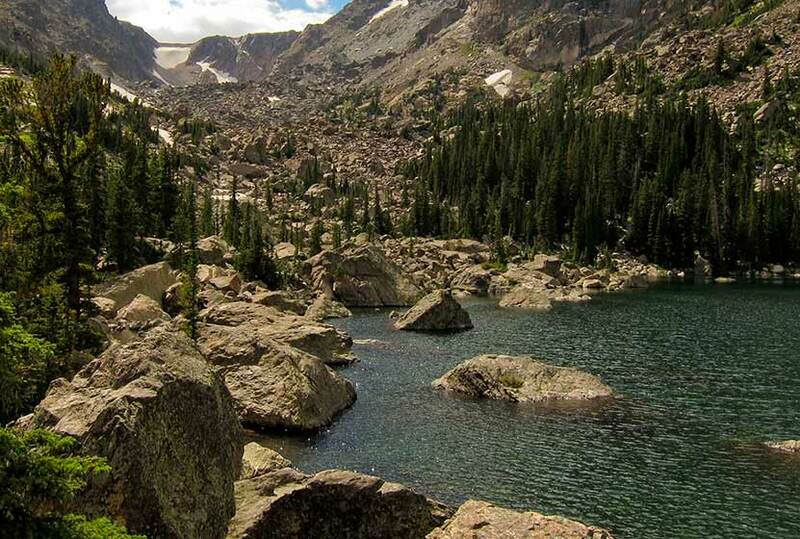 A short spur trail to Haiyaha (on the right) leads to another great high mountain lake in RMNP. Adding Haiyaha to the hike would make this an approximately 4.6 mile round-trip hike. 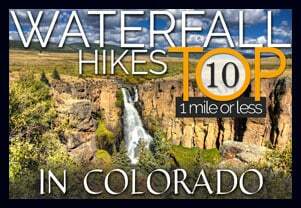 Trekking Poles: For most hikes in RMNP–especially if you are traveling on unmaintained trails–we recommend using Trekking Poles. They take a lot of weight off the knees and help in navigating uneven terrain. 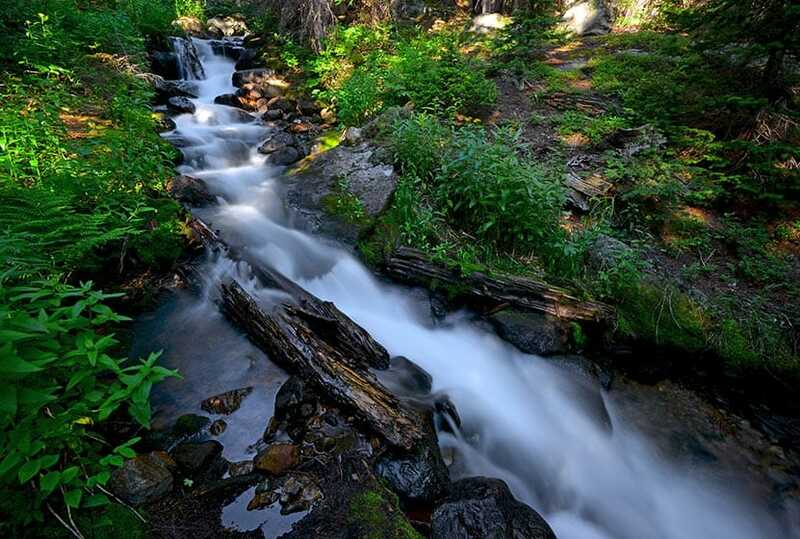 Photo: We would like to express our gratitude to photographer Aaron Cooper for this the photo of Chaos Canyon Cascades. 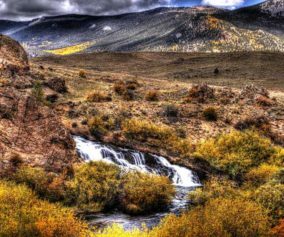 Be sure to check out his extensive gallery of Colorado landscape photography.